Early morning on the Wind River Indian Reservation, Wyoming and I’m standing on the back of a truck looking at a herd of bison looking at me. They are close enough for me to smell their breath and trust me, there is a lot of it. It’s a stare off, but these magnificent creatures can stare at me all day long if they want because they are pretty special beasts. 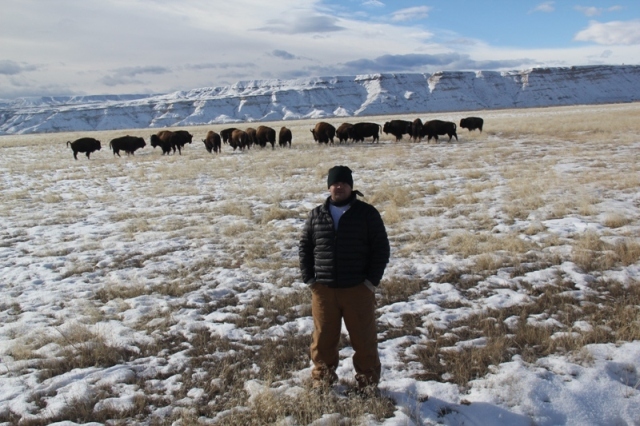 Jason is leading an ambitious project to breed back this almost extinct animal so the Shoshone can hunt it once again. The Wind River Indian Reservation, at over 2 million acres of central western Wyoming, is a destination in itself. Its plains, forests and mountains teem with wildlife; little wonder it was the setting for the recent movie Wind River. Starring Jeremy Renner and Elizabeth Olsen, it’s a modern-day murder mystery about the suspicious death of a young Native American woman and Wind River’s epic winter wilderness is front and centre. In light of the DVD and Blu-ray release of Wind River, I’ve taken the opportunity to see this extraordinary landscape for myself. Can it really be a relevant alternative to the fancy slopes of Jackson Hole or as a viable gateway to Yellowstone, the world’s first national park? Wyoming is called the cowboy state and with good reason. It’s the least populated with more animals than people, yet it is one of the biggest in the USA. It’s where the Rocky Mountains meet the High Plains and the Continental Divide. It was the playground of the Hole-in-the-Wall Gang and Butch Cassidy and the Sundance Kid and the route of The Oregon Trail. There are wild west roots wherever you look. It’s also home to the Eastern Shoshone and Northern Arapahoe tribes on the Wind River reservation who, these days, depend on their casino hotels and their fishing and gaming licences to provide vital funds for their communities. The Wind River Casino and Hotel is a pleasant surprise. Just a short drive from Riverton regional airport it’s my base for my first few days here. I might even call it rustic chic. Or should that read Indian chic? Large airy rooms with huge comfortable beds and impressive linens. 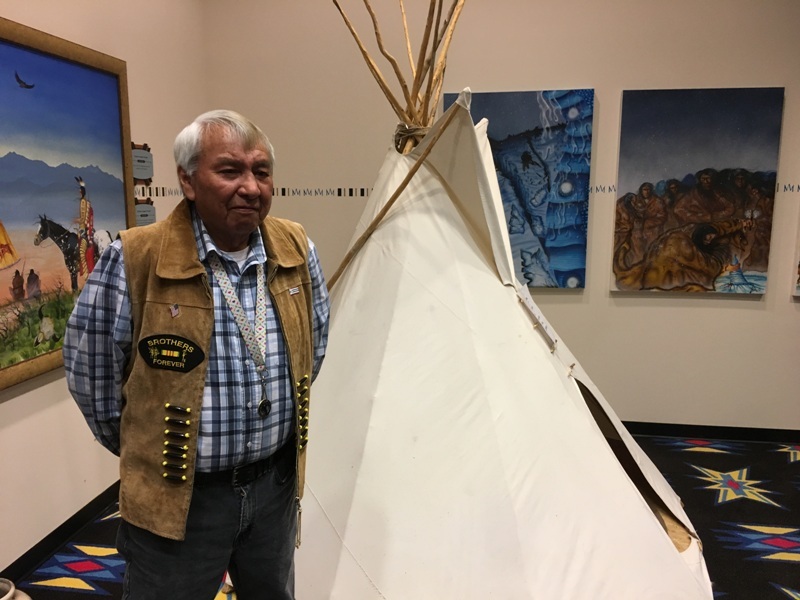 Just inside the lobby is the Wind River Arapaho Experience Room and I have the privilege of sitting down with tribal elder Wayne C’Hair who regales me with stories of tribal culture. He points to a faded black and white tribal photo “See the man in the front row? He is my grandfather. He taught me so much. It is important for me to try to do the same for our youngsters.” C’Hair is one of the few tribal members still fluent in the Algonquin language, a mother tongue he is desperate to maintain within a society slowly becoming absorbed into a white American way of life. Venturing outside, I take a drive out onto the vast reservation. The roads wide and virtually traffic free. Unlike the long hot summers, it’s winter and it’s bitterly cold; an endless landscape coated in white. 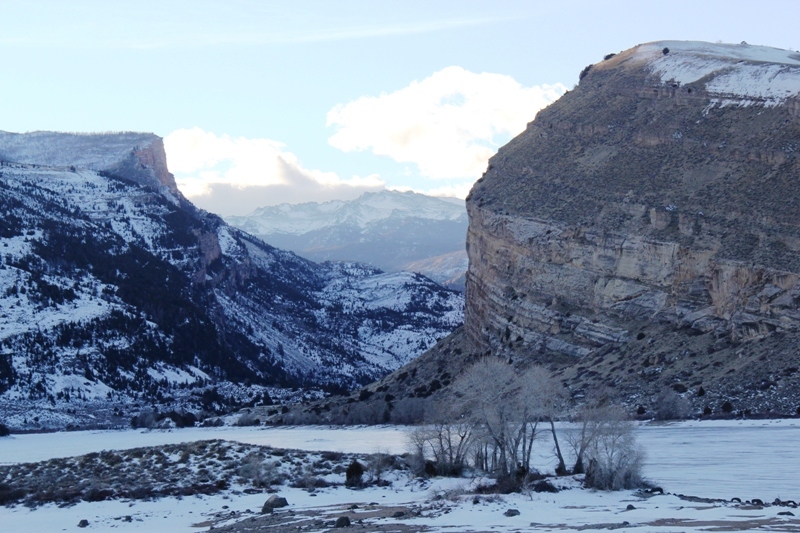 Gradually things begin to change; mountains appear and a vast frozen lake heralds the Boysen Reservoir at the mouth of the Wind River Canyon. 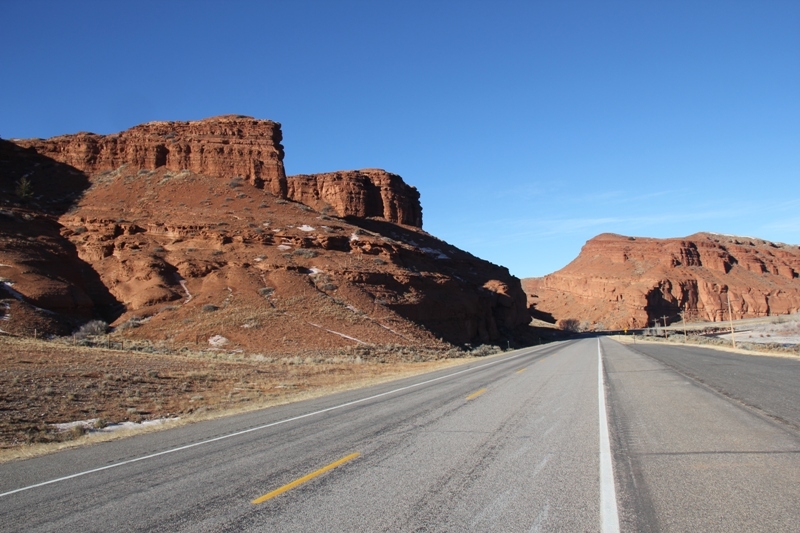 The canyon has been officially given Scenic Byway status and rightfully so. It really is quite the spectacle; the Wind River galloping past on its way to Montana where it becomes the Bighorn River and vertical walls of rock rising to 2,500 feet on either side. These are some of the oldest rock formations in the world. I find a small turn off and stop for a walk and just drink it all in. 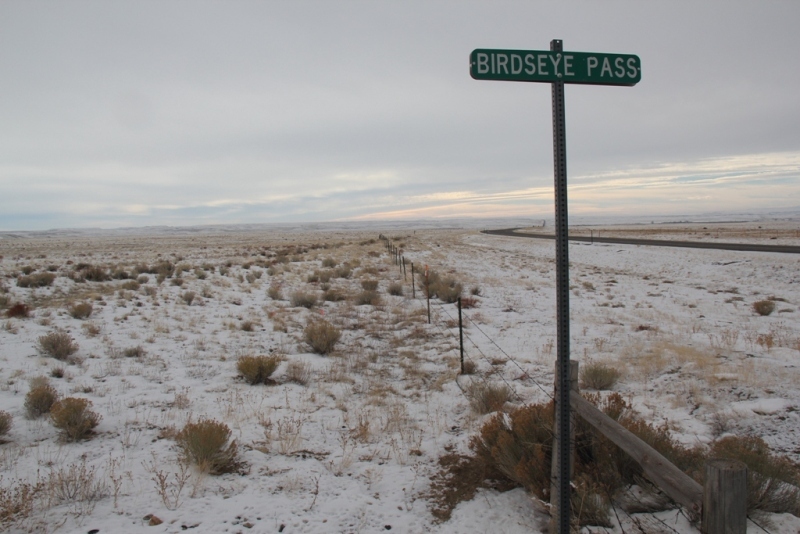 On the way back I pass the sign for the Birds Eye Pass, the legendary stagecoach route across the mountains linking the towns of Shoshoni and Thermopolis. It’s been quite a day and it gets even better with a $200 win on the casino slots. The morning dawns sunny with an impossibly blue sky. I drive into Riverton for breakfast at the Cowboy Cafe, an immensely likeable eatery where server Tina has an endless supply of excellent coffee. Tina is a “100% enrolled Eastern Shoshone and proud of it.” To be an enrolled member the tribe you have to have proof of your tribal ancestry. 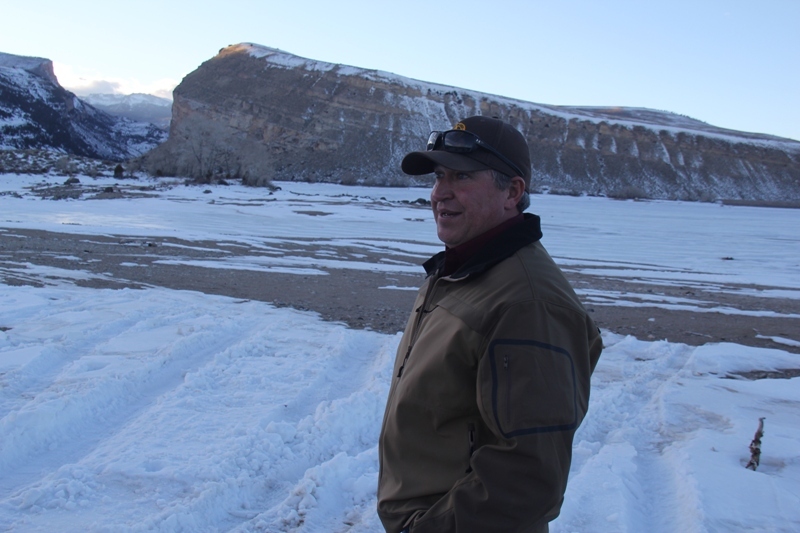 Today I’m taking in more of the reservation landscape with Art Lawson who heads up the enforcement of the Tribal Game and Fish Office. It’s a key role responsible for the monitoring and well-being of the reservation wildlife, tracking poachers and rescue and recovery. It is an uphill task with just three officers to patrol over 2 million acres. He is to my mind, the perfect role model for Jeremy Renner’s tracker character in the Wind River movie. Spending time with a real-life Indiana Jones has its advantages as we drive off-road in search of the wildlife that abounds here; elk, moose, coyote, bighorn sheep, eagles and hawks and perhaps even black bears. I’ve switched hotels today to the Shoshone Rose Casino & Hotel. 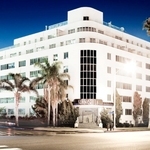 It’s an equally impressive property just a year old with the kind of luxury room amenities you would expect to find in a fancy city hotel. 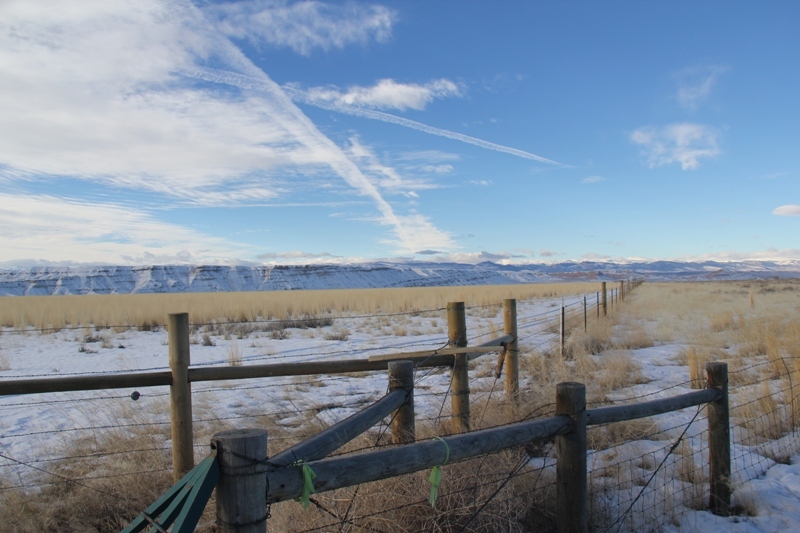 Just a whip crack away from here is the Double D Ranch and Wind River Wild Horse Sanctuary, a 900-acre working ranch owned and run by the Oldham family. 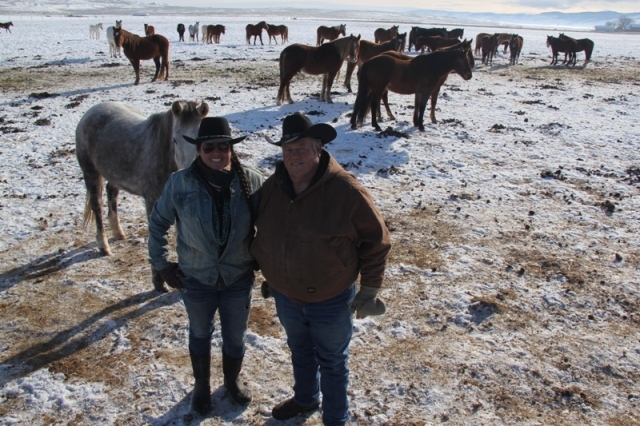 Denise, husband Dwayne and kids Jared, Odessa and Jess find and care for over 130 un-adoptable wild mustangs. I’m admiring the rustic visitor’s centre when Dwayne, a qualified Veterinary surgeon, saunters over to me “Fancy seeing some horses close-up?” You bet. I join a tour on an open wagon pulled by Dwayne driving a very authentic tractor across a frozen prairie toward a pack of 40 or so horses grazing in the distance. As we draw close, they all begin to saunter over, all shapes, all colours, but all of them wild. Some come up to the wagon for a sniff, others hold back just out of reach. To see these wild animals being cared for but still able to enjoy a free roaming life is quite an emotional experience. Sadly, my evening at the Shoshone Rose Casino & Hotel was almost as emotional. I won nothing. Another sunny day dawns and I’m on my way towards Dubois, an old cowboy town once frequented by Butch Cassidy. I’m heading for the hills for a day of snowmobiling around Togwotee Pass with The Line Shack. The 90-minute drive cuts through some impressive rock formations and a landscape strewn with battle stories. 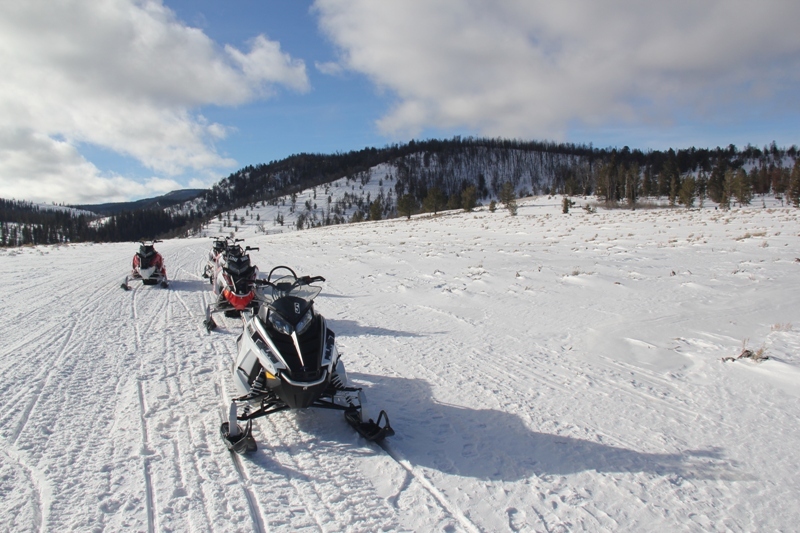 After getting kitted out with the correct driving clothes at Line Shack Lodge I get a thrilling fun-packed guided ride, snowmobiling through forest and valley in the foothills of the Continental Divide. No roads up here, no cars allowed. This is just snowmobile heaven. Wyoming’s Wind River country may not have the fancy jet set style of Jackson Hole or the tourist trappings of Yellowstone. But what it has in bucket loads is wide open spaces, an authentic taste of Western history, fascinating and welcoming Native American culture and an enviable outdoor experience. If you’re heading for Yellowstone, why not expand your stay and try a self-guided loop tour of Wind River country too. I can see why Director Taylor Sheriden chose Wind River as the setting for the movie. This wilderness is quite an experience. 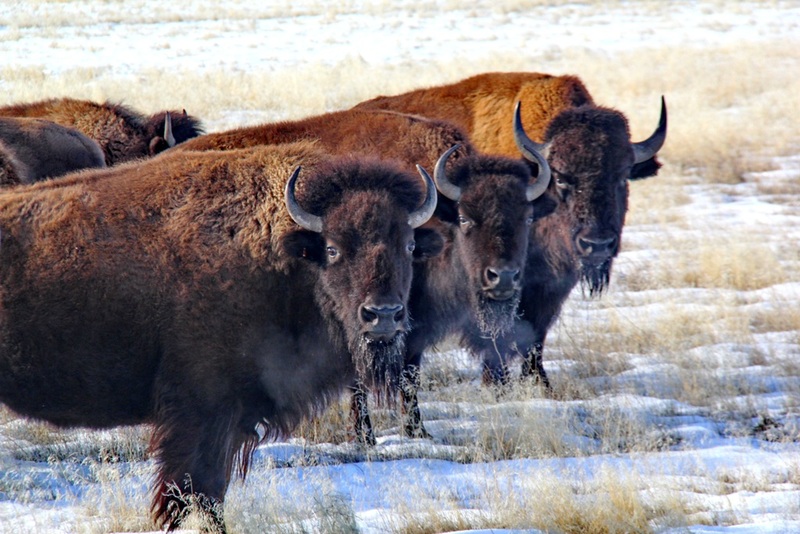 As for me, I’m heading back to the bison at the Wind River Indian Reservation. I feel another stare off coming on. Wind River is out on Blu-ray and DVD on January 22. 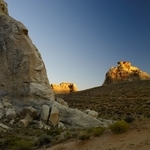 For more information on Wind River country please visit Wind River country and Travel Wyoming. 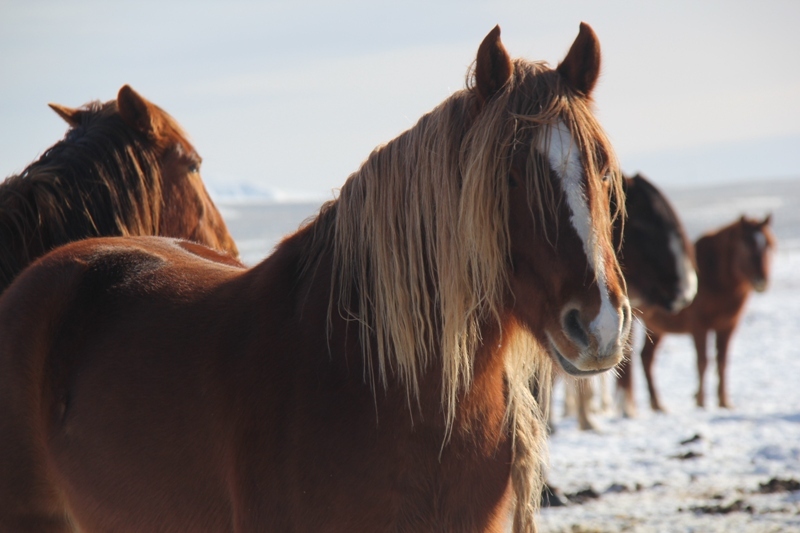 Wild Horse Sanctuary: Tour the ranch and horses by side-by-side with your personal guide. $35 for adults $15 for ages 13-18, 12 and under are free. British Airways flies daily to Denver from Heathrow from £500. 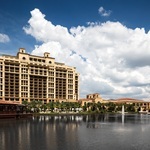 Denver to Riverton (1 hour) by Denver Air Connection from £250 return.